Children are more equipped to learn when their nutritional needs are met. THANK YOU TO THE SPRINGS CLOSE FOUNDATION FOR FUNDING THE WEEKEND BACKPACK FEEDING PROGRAM AT CLINTON ELEMENTARY SCHOOL! Through our collaboration with Clinton Elementary School, it has become apparent to Lancaster County First Steps that many of the children that participate in the free and reduced lunch program have no way for their nutritional needs to be met on the weekends. In response to this need, the Weekend Backpack Feeding Program has been implemented at Clinton Elementary School. 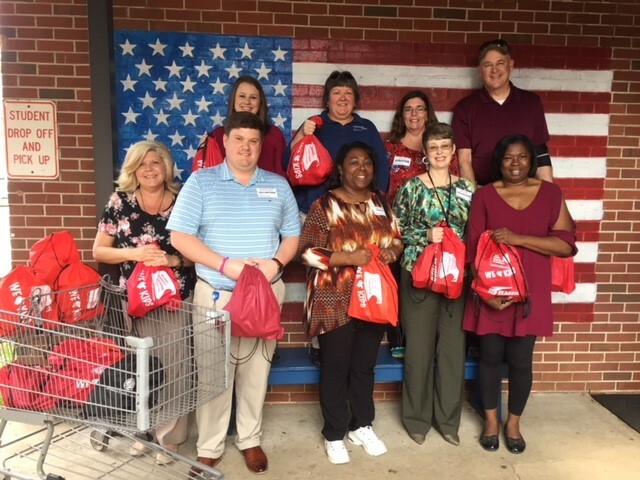 Each Friday during the school year, Lancaster County First Steps will ensure that at-risk elementary students will receive a Weekend Backpack designed to supplement meals for children, who depend on school breakfasts and lunches, during the week. The Second Harvest Food Bank delivers packs of nutritious, child-friendly, nonperishable, easily consumed and vitamin fortified food packed in backpacks each Thursday. Several volunteers tag and distribute these backpacks to each classroom on Thursday afternoons. On Friday, Clinton Elementary discreetly distributes these bags to children to carry home for the weekend. Lancaster County First Steps also includes newsletters, lists of helpful resources for parents, developmentally appropriate fact sheets, nutrition, health and fitness tips, fun and informational education materials with the backpacks each week. • 4,870 total backpacks were distributed during the 2012-13 school year at Clinton Elementary School. • On average, 157 children were served each week. • Fourteen (14) volunteers from the community assisted and made the program possible. • Children in 4-K, Kindergarten, First Grade & Special Needs were served. • Backpacks included non-perishable food items such as macaroni and cheese, canned goods, peanut butter, etc. • Funded by The Springs Close Foundation in conjunction with Second Harvest Food Bank of Metrolina. 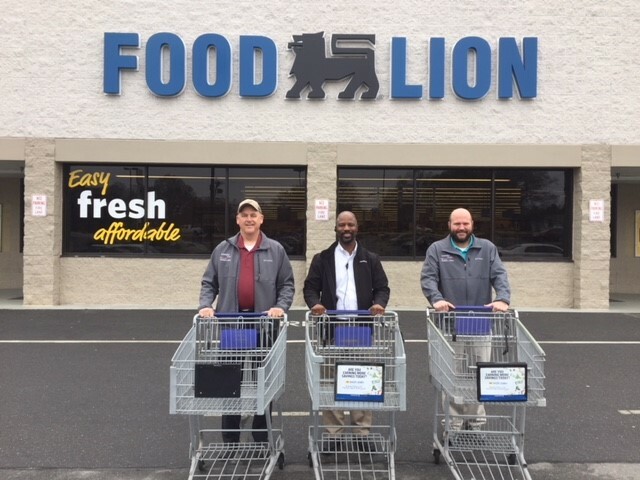 Lancaster Food Lion (Airport Road), donated 3 shopping carts to Lancaster County First Steps. The carts will be used to distribute backpacks at Clinton Elementary for the weekend feeding program. Pictured front row: Angie Estridge, Gavin Witherspoon , Dedra Brown, Jennifer Page, Patricia Rutledge. Back Row: Deanna Adams, Debbie Treywek, Sara Jenkins and Gary Watson.